This is a spun wire dubbing tool. It's overall demenison's are appox. 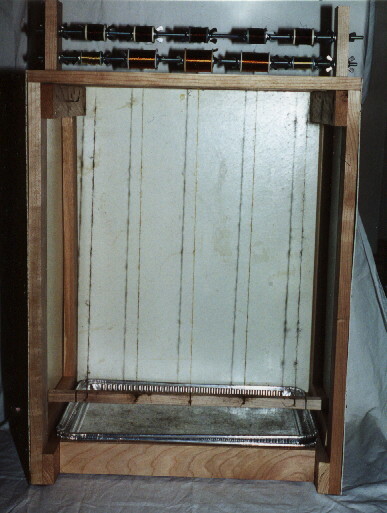 15 �" x 24". It can be purchased or a detailed pattern is avalible by contacting us at dan@mhoutfitters.com If being purchased it will be made from cherry, oak or maple wood. 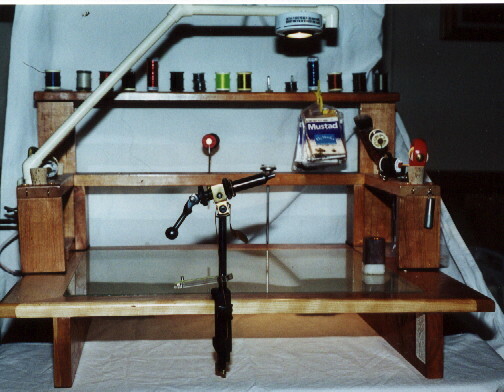 This is a Fly Tying Bench. Light is optional. It may be purchased by email us at Dan@mhoutfitters.com. If being purchased it will be made from cherry, oak or maple wood. Here are our tool caddies. 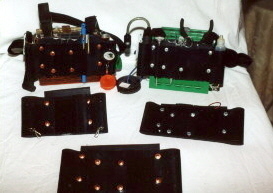 The one on the top left is for an aluminum fly box. The one on the top right is for a Downs Plastic Fly Box. The one on the bottom not shown with a box is for the Mountain Trout Fly Box. We made two dozen of these in the past two years and everyone who has used them have really like them. Also they do not harm the box in any way. To attach them you can use double sided tape or velcro. 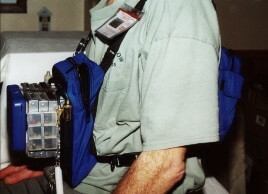 Here is a newer improved tool caddie that attaches to a chest pack. As we said above they do not harm the fly box in any way. 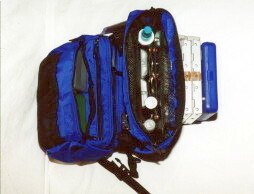 This chest pack is made of mesh and we do not need to place any holes in it but if it is not you may have to. To learn more about any of these tool caddies email us at dan@mhoutfitters.com. Also if you are intersted in manufacturing these email at the above address.